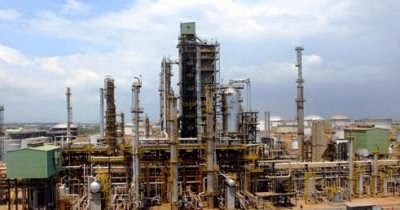 The Tema Oil Refinery has begun operations after yesterday's fire that left one person dead. According to the Director of Public Affairs of the Corporation, Abba Lokko, the refinery is safe. Meanwhile, the Ghana National Fire Service says it is investigating the cause of Tuesday's fire as a result of leaky pipelines at the Tema Oil Refinery. The Service is further gathering evidence which will help determine the cause of the fire. The Deputy Public Relations Officer of the Ghana Fire Service, Billy Anaglatey, in an interview with Radio Ghana said the Service will intensify education on fire safety. One person was confirmed dead in Tuesday's TOR Pipeline fire outbreak. Although the identity of the dead is still not known, it is believed that he was among individuals who were siphoning oil from the pipes.